In time for Summer, Givenchy has created the Les Saisons 2018 African Light Collection, inspired by the raw beauty of Africa, and the interplay of light on that vast & glorious continent. 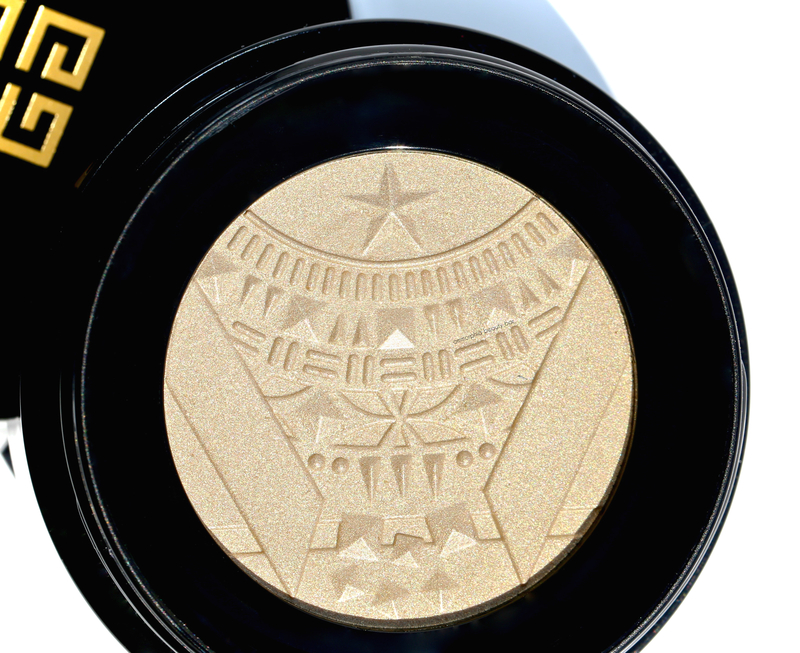 The star piece of the collection is undoubtedly the Bouncy Highlighter with its intricately embossed design and stunning gold hue, but to be completely honest, I’d probably want it for the name alone. 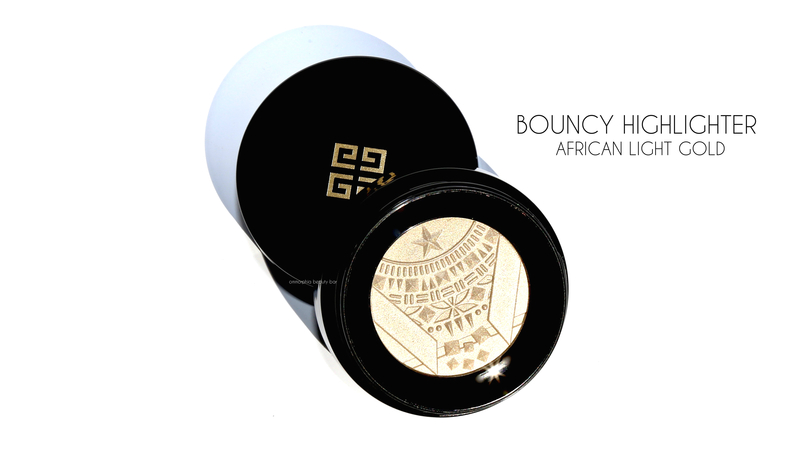 Bouncy Highlighter African Light Gold, limited edition (CAN $49.00) | The keystone of the collection, this is a crème highlighter in a soft golden beige hue with a gorgeous tribal-inspired pattern on the surface, with the colour flattering basically all skin tones across the board. Housed in a round compact bearing the brand’s logo on the lid, what makes it unique is the texture: cooling to the touch (although the sensation doesn’t linger), it lays down like a cream but comes to a powder-like finish, setting relatively budge proof as well. The colour is meant to evoke an African desert landscape, while the delicate frangipani fragrance is reminiscent of ‘lush South African gardens’ (not that I’ve personally smelled said gardens, but I can only imagine). 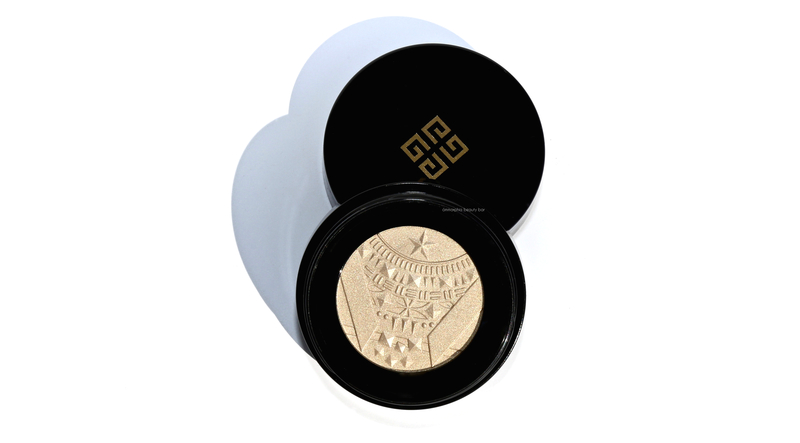 Other interesting features of this highlighter lie in the formulation, which is made with skin-loving Coconut Water (a powerful antioxidant and moisturizer), along with Macadamia Nut Oil for continuous hydration and protection against environmental stressors. NOTE: once opened, you need to work quickly: avoid keeping the highlighter uncapped for extended periods, as this will lead to it drying out. That said, not only does the texture feel cool upon initial application, but pressing down on its surface yields a squishiness — hence the “bouncy” part of it, I assume. After experimenting a bit, I find that this highlighter works best with other cream/liquid based products, although it can be worn over powder products … with a touch more work. As to application, the method I found which offers the best result, is by using fingers and then dabbing/patting it lightly along the skin; don’t drag it around, as that may cause it to pill up. 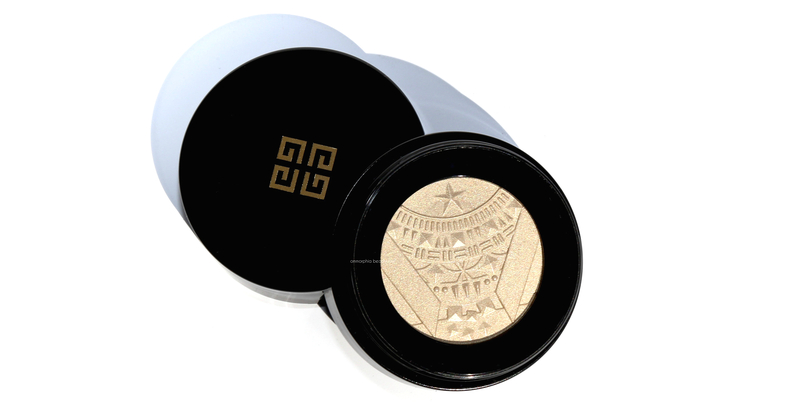 Apart from the soft golden colour, it also has incredibly fine-milled gold shimmer that winds up sticking around long after the emollient portion has faded, thereby continuing the radiance. 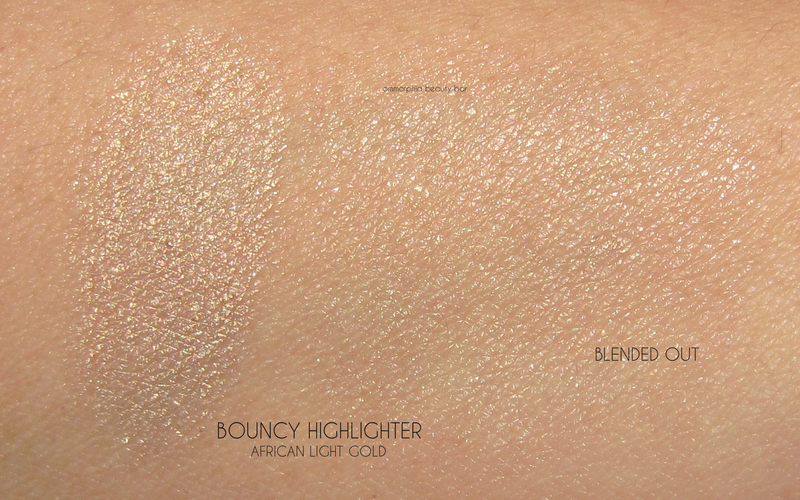 Speaking of shine, this is not one of those blinding type of highlighters but more along the lines of a sophisticated yet still glowy radiance (TIP: if EXTRA is your thing, use this highlighter as a base then layer a shimmery powder on top — you’ll not only get more depth, but increase the staying power as well). Several years ago, I discovered the impact that strategically placed highlighter can have on my makeup (and my mood as well), and I’ve never looked back. With so many options available, I still tend to reach for a cream-based product when looking to create the most ‘natural’ seamless effect and in that capacity, the Bouncy Highlighter works beautifully. And the best part is that the radiance it provides is both understated and glowy — still not sure how that’s accomplished, but I’ll take it. And if the thought of marring that gorgeous pattern makes you wince, do what I did: take a ton of pictures first … then dive in. You won’t regret it. Thanks for the kind words, Preet! Hope this product meets your needs as well!